It is quite easy for people to buy blinds and shades. How true is that? It is true to an extent and untrue when you decide to consider some factors. With so many styles of blinds and shades, choosing the right one for your needs may not be as easy as it seems. There are so many factors to consider in making the right choice when it comes to blinds and shades. Below are some prominent ones. While planning to purchase new blinds and shades, one of the major factors to consider is your budget. If you do not have a specific budget for the project, you will eventually find out that making the decision will be very hard. There will be so many choices to make and you may end up spending much for less. The size of your house and your taste will definitely influence your choice of blinds and shades, and you must research a little to see if your choice corresponds with your budget. If it doesn’t, then you make the necessary adjustments. The color of blinds or shades you buy will depend on a number of factors including privacy, light control, and individual choice. Color is hardly a determinant of price so choosing the right color may not have any impact on the price you pay for the treatment. If you are not conversant with coloring, involve a specialist so as to avoid ridiculous color combinations that may necessitate the need to change the blind or shade after installation. Ideally, the size of blinds and shades you will purchase will depend on the size of the window of door you want to cover. In interior decoration, there is nothing as bad as seeing ill-fitting designs. It is rare to find ill-fitting blinds and shades, but when they are seen, the sight is always terrible. In buying, therefore, it is important to make sure that the right size is bought and installed. 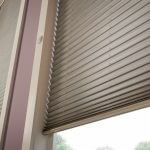 In buying blinds and shades, it is important to make sure that the product is complies with the CPSC safety guidelines. If you have children or pets in your home, it is essential to buy codeless window coverings. If you end up buying a corded product, be sure to always use cord cleats. It is, however, not advisable to buy whatever may predispose you or any of your loved ones to hazard, so while buying blinds and shades, you should consider the safety of the product. There you have it! All the above are some of the things you should consider before buying blinds or shades.